For the first time ever, you can now get resell rights to this hot new software! That's right, sell it and keep 100% of the profits! A message with video and sound has been proven many times to be more effective than print advertising alone. Studies have shown that 6 times as many people will respond to a message that is made with video (NIH Research). Streaming video also provides appeal on an emotional level, which can give the viewer a clearer understanding of your product or service. A "live" touch on your web site appeals to all the senses of your visitor, creating a closer connection between you and you visitor. If you put a personal presentation on your web site, the effect is like being right there in person with your client. As a result, your web site is likely to increase its sales by up to 600% by just adding streaming video. A recent study from ComScore Networks showed that 56% of Americans view streaming video online, with the average consumer viewing 73 minutes of streaming video content per month. This research confirms that streaming video is now part of the Web experience for a broad base of consumers. Streaming video is changing advertising on the Web, by allowing richer, more emotive connections between brands and consumers. Online video is uniquely positioned to break through clutter, changing media preferences, and other obstacles facing advertisers today. As a result, streaming video commands more attention and response, thereby bringing better results to online marketing. Until now, it has been a major challenge for most marketers to successfully stream most video files on the internet. Have you ever wanted to put your favorite home video on the internet but did not know how? 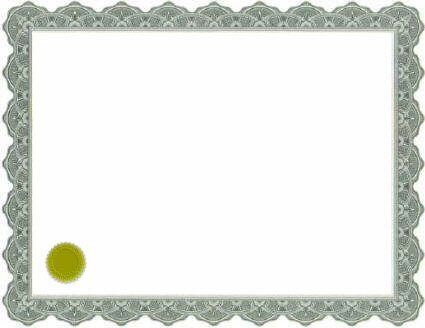 Have you ever wanted to put a personal presentation on you web site, but did not have the means? Have you ever tried to put any video file on your web site but it seems to take for ever to load? Have you come across those flash movies that take for ever to load, and just show "Loading..." for a whole 10 minutes? The truth is, most marketers have had no means - they either had to pay hundreds of dollars for expensive services to get a "professional" prepare video / flash for them, or they had to subscribe to costly monthly fees just to maintain their videos working on their own web sites! Instant Video Streamer is a simple piece of software that converts those big / heavy video files (such as to new .avi, .mpeg, etc) to flash video file (.flv) format. 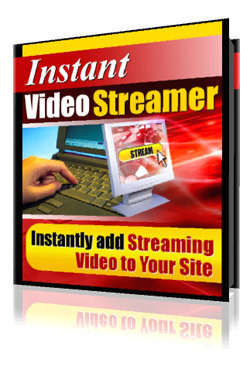 If you can switch on your computer, you can use Instant Video Streamer! No more paying costly monthly fees to get your own videos online! You no longer have to limit your web site to just text with pictures, but now you can amaze people with video on your website. You can now convert more visitors to buying customers. When a consumer sees a 3-dimensional product in video, it inspires more trust than just static pictures or just some explanation. This offer will only be extended to the first 100 people. We Back It With A Rock-Solid Guarantee! If within 30 days, you are not totally convinced that Instant Video Streamer is not the best investment you have made in a long time, just let me know and I'll refund 100% of your money back. P.S. - Remember that every minute you wait is crucial - the longer you wait to get your hands on Instant Video Streamer, the more valuable customers you are missing out on, and the more money you lose!